You may want to distinguish certain calendar events or certain courses in your catalog by making them appear in a slightly different way. You can do so by applying a color coat on these entries. Color coated events and courses appear with a different color in the calendars or the course catalogs. To specify a color for a live sessions use the "color coating" check box on the Options page when creating your live event. Similarly color can be applied to course catalog entries. You can do so at the time of setting up your course. 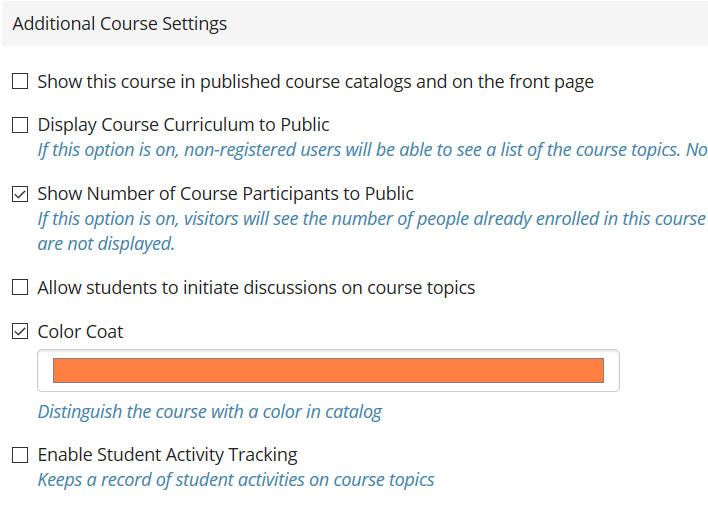 The color coat option is located under the "Additional Course Settings" area. 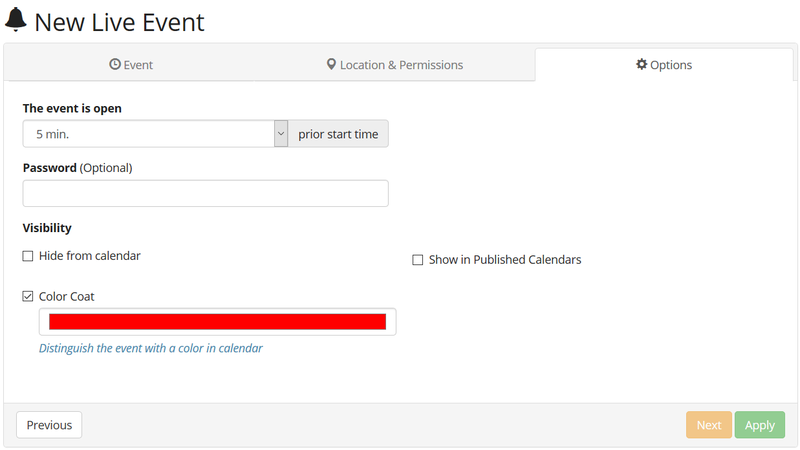 Color-coated events and courses will also show up with a the respective color if published in public or embedded calendars and catalogs.